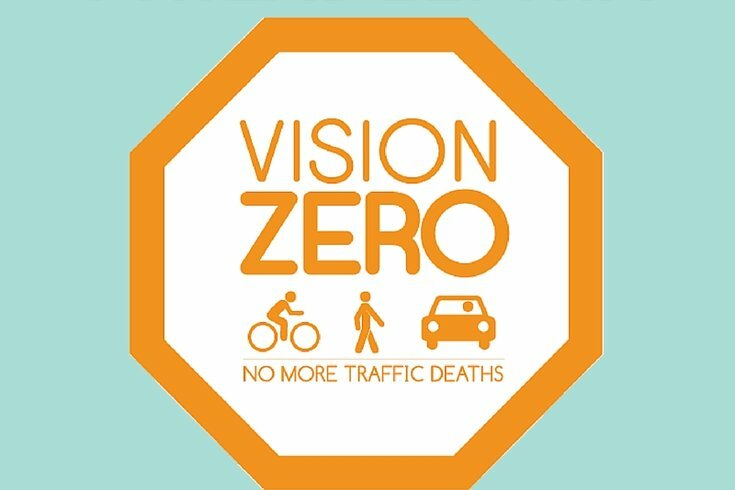 A conference about the Vision Zero initiative will be held at Thomas Jefferson University Hospital on Thursday. The event is part of a push to get Philadelphia to embrace an initiative which – born in Sweden in the 1990s, it's already embraced by New York City, San Francisco, Seattle, Chicago and other U.S. cities – calls for a targeted program to address dangerous locations with the goal of reducing all traffic injuries and fatalities in Philadelphia, whether they be pedestrians, bicyclists or drivers. Sarah Clark Stuart, the BCGP’s acting executive director, said Jefferson’s interest in participating served as a jumping-off point. “When Jefferson Hospital reached out to us back in February and indicated that they wanted to become involved in Vision Zero, we knew that they would be a critical new partner and could bring an important new sector, the medical community, to the table,” she said. “From our vantage point, we believe that there is a lot of work on engineering, education and enforcement already being conducted that needed to be more broadly known. Politically speaking, Vision Zero was discussed during the mayoral primary and general campaigns. City Councilwoman Cindy Bass introduced a resolution focused on Vision Zero last year and will speak at the event, as well. Mayor-elect Jim Kenney backed the idea to the point of saying he’d create a “Vision Zero Action Plan” task force and has a policy proposal surrounding it, which is being discussed by his Transportation and Infrastructure Transition Subcommittee. The policy proposal states that Kenney will begin implementation of a Philadelphia plan shortly after his inauguration in January 2016. Kenney’s support has a lot to do with the timing, Stuart noted. “In anticipation that he would want to start implementation early in his administration,” she said, “we at the Bicycle Coalition thought it would be useful to hold this conference to lay the groundwork by bringing the individuals in Philadelphia already working on various traffic safety programs and together with those who are working on Vision Zero programs in other cities to share information and learn from best practices." Thursday’s conference runs from 8:30 a.m. to 5:30 p.m. at Thomas Jefferson University Hospital’s Alumni Hall, 1020 Locust St. Registration for the event – which costs $60 to attend – is available via this link. Sinead Cummings contributed to this report.